After a long wait we'd like to present version 1.2.5 of Asset Forge (Deluxe). 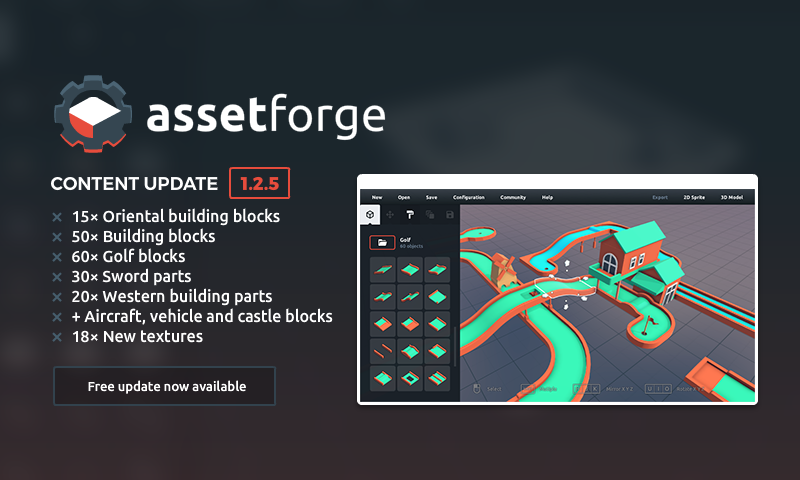 This update only adds new content, we are still working on a complete recreation of Asset Forge which will improve on every single feature. The total content doubled (from 200 to 400 blocks)! The new blocks are available to both standard and deluxe users.